46 years ago – 10 December 1967 – my thoughts relating to that day are still so vivid. But my personal Otis Redding story starts less than just four short years before…….. It was January 1964 around the time of my 17th birthday. I loved R&B and Soul music. I listened avidly to shows on Radio Luxembourg that played American music on labels such as London, Stateside and Pye International because that was where I was more likely to hear what I liked. Also, when I could, I tried to tune into AFN (American Forces Network) which I think was transmitted from Germany. In those days the transistor radio was relatively new and AFN would break up. To obtain reasonable reception and hear some great R&B/Soul stuff often not released in the UK, I can remember half hanging out of the window holding the radio at funny angles – but it was always worth it if I got to hear a new gem. I was lucky that where I lived in Bournemouth there was a forward looking record shop called Bourne Radio that didn’t just stock the top 20. On their counter they had a new releases box where you could select records to play. At the time, even if I didn’t know the artist or the song, I would gauge from the scant information on the label whether a particular record was possibly one I would like or not. Although I believe I knew a lot about pop music at the time, I had never heard of Otis Redding. He had never had anything released in the UK and would not have been played on the radio – so I guess very few others would have heard of him either. The record I was looking at was on London Atlantic – which was a good start. It was Pain In My Heart with Something Is Worrying Me on the flip side. Both tracks said they were penned by Redding and Walden. The titles sounded bluesy and both – as they appeared to be self-written – looked to be original and not cover versions. Anyway, I played this record and it blew my mind – so much feeling exuded from the two performances. I can remember having a secondary thought – my mum’s not going to like it when I belt this out at home. I knew she would accuse it of being a ‘dirge’ and dismiss it as being ‘a weird cacophony’, her favourite comments on quite a lot of my records! So that was my introduction to Otis. It was a bit of serendipity how I came across the record. I know that in the months to come I would have discovered him anyway but I think I was only one of three people in Britain who bought Pain In My Heart when it was first released here! I never heard it played on the radio, which I listened to extensively. What I know now that I didn’t know then was that Pain In My Heart was an adaptation of Irma Thomas’s Ruler Of My Heart written by Allen Toussaint under the pen name ‘Neville’ (his mother’s maiden name). I later acquired Ruler Of My Heart and there is no doubt that Pain In My Heart was largely based on it – but Otis changed the lyrics to suit a male vocal and also changed the meaning of the song totally. Generally speaking, I do not like cover versions but I believe, on this occasion, he added so much to make it different enough to be his own – and that performance, as I said, was mind blowing. At the time, still early 1964, my other source of acquiring records was by mail order – both directly from America and from importers in the UK. Once I had come across Pain In My Heart, I scoured the various lists for any other material by Otis, without success. Initially, I could find nothing but over the next couple of months I eventually found a list that had two singles; These Arms Of Mine/Hey, Hey Baby on Volt 103 and That’s What My Heart Needs/Mary’s Little Lamb on Volt 109. I found, too, that Pain In My Heart/Something Is Worrying Me was on Volt 112. I ordered the two American singles that had not been released in this country and when they arrived I wasn’t disappointed – they were great. Five of the six sides on those three Volt 45s later appeared on Pain In My Heart LP (Atlantic 587042) that was belatedly released in the UK. These Arms Of Mine and Pain In My Heart make my Top 10 with That’s What My Heart Needs and Something Is Worrying Me just missing out. The one side that was not on Pain In My Heart was Mary’s Little Lamb, which was loosely based on the children’s nursery rhyme. It seems banal to start with but the last half minute or so is absolutely fantastic. As time went on, more of Otis’s records got released here and, although still hardly known at all, reviews and information started to filter through in specialist R&B and Soul magazines. My favourite Otis Redding record of all time and in my Top 10 is I’ve Been Loving You Too Long (To Stop Now) released in the USA on Volt 126 with I’m Depending On You on the flip but issued in the UK as the B-side of Respect. There are a couple of marginally different studio recordings of this unbelievably soulful song, one probably with Isaac Hayes and another with Booker T. Jones on piano, which is about twenty seconds longer. I will never forget the moment when I heard the terrible news that Otis had died. It was the start of another working week, Monday 11 December 1967 that I heard on the car radio on the 8 o’clock news the utterly inconceivable report saying “Otis Redding has been killed in a plane crash, yesterday”. That was, of course, Sunday 10 December. I simply could not believe this fateful news. How could this be? It is still impossible for me to express how I felt then – but, at the time, it was my blackest day ever. I didn’t particularly like live performances on record. I liked live performances but I liked my records to be studio produced – so apart from a live performance LP I think I had every Otis record that was issued when he was alive. I was not to know until 1968 that what Otis had been recording shortly before his death was quite a departure from his previously issued material. Everybody knows (Sittin’ On) The Dock Of The Bay. It is said to have been recorded just days before his death. It was a massive hit, reaching No.1 in the American pop charts and No.3 in the UK. I find it so poignant listening to the wistful Otis singing this song, which is included in my Top 10. An LP, Sittin’ On The Dock of The Bay (Stax 231001) was released in February 1968 with a mixture of old and new material. In June 1968 a new LP was released, The Immortal Otis Redding (Atlantic 588113) which had eleven tracks of unreleased material that had been recorded in the Spring, Summer and Autumn of 1967 – so all of them in about the six months before he died. Two tracks from that LP were issued as a single I’ve Got Dreams To Remember, co-written by Otis and his wife Zelma, plus Champagne And Wine. These two tracks I played over and over – often in a darkened room – and I think that I nearly wore that 45 out. Both of those songs make it into my Top 10. The other songs making my Top 10 that I haven’t already mentioned are Chained And Bound, Just One More Day, Ole Man Trouble and Ton Of Joy – all really excellent tracks. Up to around 1966/1967 a typical album – only vinyl then – would have eleven or twelve tracks with no longer than 30 minutes of music. It would usually consist of a bestselling single bulked out with old standards and cover versions to try to get extra sales on the back of that hit. Often they were dire. Things changed a lot after 1967 and there seemed to be a more professional approach with albums. 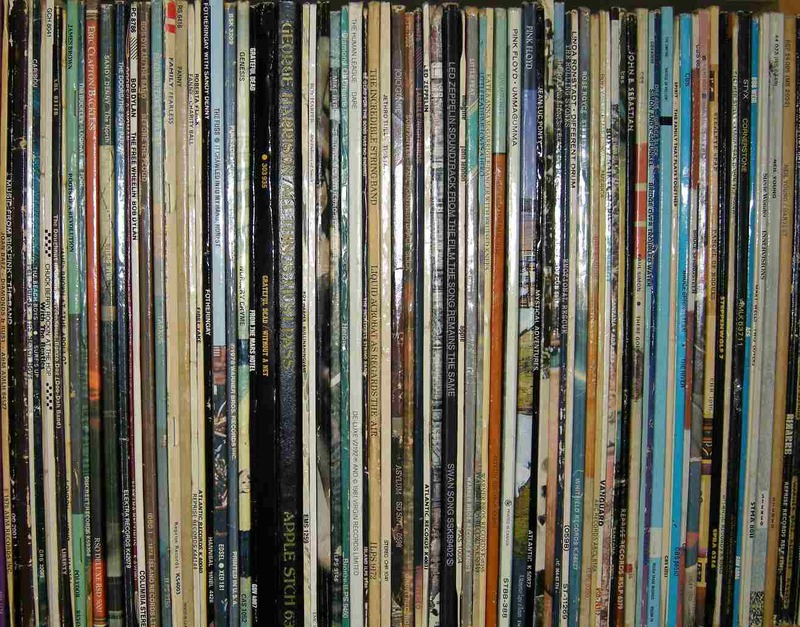 Standards were raised and LPs started to contain much more higher quality material intended to please the record buyer, not just an exercise by an exploitative record company to maximize sales by taking advantage of the true fan. Obviously, there were exceptions to that exploitation; Otis Redding featured consistently high quality material. Otis did a duet album with Carla Thomas; King And Queen contained two hit singles including a completely revamped version of Lowell Fulsom’s Tramp. This track particularly showed another side of Otis’s nature, his humour – the lyrics have some great lines within the banter and seemingly the two had a natural rapport. Besides this excursion with Carla Thomas, some pre-Volt recordings and live performances, Otis had five albums released during his lifetime and they were all of a very high standard. They comprised 58 tracks, roughly half of which were written or co-written by Otis. I honestly believe that there were no bad tracks and all were a minimum of very good but, more to the point, there were 20-plus classics (which made it very difficult to select a Top 10, especially as I have gone for posthumously released tracks as well). He was still maybe obliged to record covers and a few standards plus a couple of pre-war classic blues songs on his LPs but whether he was doing any of these or his own material he did it to a tremendously high standard. Always, he had his own interpretations and he never blindly copied anybody else’s version of a song. Without exception he seemed to want to add to whatever went before. From The Great Otis Redding Sings Soul Ballads (Atlantic ATL 5029), Mr. Pitiful, co-written with Steve Cropper and a great cover version of O. V. Wright’s That’s How Strong My Love Is. From The Soul Album (Atlantic 587011), Good To Me, co-written by Otis, and Cigarettes And Coffee. From Otis Blue (Atlantic 587036), the self penned Respect, which is a bit of a role reversal compared with Pain In My Heart. Otis’s Respect was issued as a single in 1965 but later it became a million seller and signature song for Aretha Franklin in 1967. The song, although from the same source (as was Ruler Of My Heart/Pain In My Heart), ended up being completely different versions with different messages. Also on this LP was a marvellous version of Sam Cooke’s Change Gonna Come. Pain In My Heart (Atlantic 587042), as already mentioned, was Otis’s first album in the USA but the fourth to be released in Britain. From this LP the self penned Security just missed my Top 10. From Complete And Unbelievable – The Otis Redding Dictionary Of Soul (Atlantic 587050), self penned My Lover’s Prayer and I’m Sick Y’all, co-written with Steve Cropper and Dave Porter. It also includes a really good updated version of Chuck Willis’ You’re Still My Baby plus extraordinary renditions of two old standards, Try A Little Tenderness and Tennessee Waltz. After the two albums released in the first half of 1968 (already mentioned), two more albums were issued, Love Man (Atco 228025) in 1969 and Tell The Truth (Atco 2400018) in 1970 – all previously unreleased tracks. Otis was born in Dawson, Georgia in 1941 but was brought up in Macon in the same State. His early idol, Little Richard, was also from there and Otis’s first ever records for small labels Confederate and Alshire were mainly in his style. Otis’s first big break, whilst still with the group, Johnny Jenkins & The Pinetoppers, was to be allowed to make a solo recording at the end of a studio session. He recorded These Arms Of Mine which was met with approval and released in November 1962 on the new Volt label, a subsidiary of Stax. His records sold steadily in the USA but in his lifetime he never got into the US Top 20. I’ve Been Loving You Too Long (To Stop Now) reaching 21, being his highest pop chart entry), although he did have four individual Top 10 R&B chart hits plus two more with Carla Thomas. Before his death, Otis had only one UK Top 20 hit with The Temptations’ number, My Girl, which was never released as a single in America. However, despite only steady record sales, Otis’s reputation was ever-growing. He toured Europe in 1966 and again in March 1967. He was then named the World’s No.1 Male Vocalist by the much respected Melody Maker, displacing Elvis Presley who had continuously held that honour for the previous eight years. Shortly afterwards, Otis stole the show at the Monterey International Pop Music Festival in California in June – just five months before he died. Unquestionably, he was cut off in his prime. Otis was unbelievably talented. Not only was he a prolific songwriter, he was an accomplished musician, playing guitar, bass, drums, piano and organ. His talents were not only restricted to the music – he had his own record label, Jotis, whose roster included Arthur Conley plus Otis was a record producer as well as a music publisher. How did he fill the rest of his day?! Otis’s music hero was Sam Cooke, who was shot and killed on 11 December 1964. I think he was determined to fill the void left by Sam, which he more than did. Sam Cooke was a pioneer of 1960s soul and Otis took it to an even wider audience and a higher level. It was ironic that almost three years to the day after Sam was cut down, Otis was taken from us too, with still so much more to give. Over thirty years ago, I bought a book by Patricia Fox-Sheinwold called “Too Young To Die” which included reference to Otis Redding and I was so surprised that it included a graphic photograph of Otis being hauled out of Lake Monona, where his plane had crashed. To me, it is one of the saddest pictures I have ever seen and I’ve noticed that this photo and others are online. Personally, I am extremely disappointed that I never saw Otis actually perform live. I did have an opportunity to see him in London but not only did I not have enough money at the time, in those days of only two weeks holiday a year I had no entitlement left and it would have been difficult to get time off work. It didn’t cross my mind consciously but maybe sub-consciously I was thinking that there will always be another time and I’ll make sure that I see him next time he comes over. How wrong can you be? There was no next time. In one way I believed I knew Otis. I felt what he sang and he seemed to express what I felt – a true empathy. I have “known” Otis almost exactly fifty years now, yet he was only alive for four of those years. Hard to believe. However, my loss or anybody else’s, pales into insignificance with that of his wife Zelma and his three children, sons Dexter and Otis III and daughter Karla. Zelma has never remarried and oversees Otis’s estate and continuing business interests. What I find truly remarkable is that in his short but full life the multi-talented Otis was only 26 when he died. He achieved so much in so little time. Another quite remarkable thing is that nobody seemed to say a bad word about him and in every report I have read the writer has had only praise for Otis. I’ll finish by quoting Steve Cropper of the M.G.’s, who co-wrote with Otis and – I think – performed on all of Otis’s studio recordings from November 1962 onwards. He must have known him as well as anybody outside of the immediate family. On the liner notes of Tell The Truth, which was released in 1970, Steve Cropper (as told to Jim Delehant) said of Otis, “He was a pure man. He was a good person. He always got along well with the people around him. As far as I know he didn’t have any enemies. He never irritated people. He always thought about the other person and he was nice to be around. He was just a nice all-round guy and it showed up in his records and his work. When he came in to work he turned everybody on – he put so much into it”. That is a glowing tribute. One of my favourite Toppermosts so far, Cal, and there have been a lot! Most interesting is your angle and emotional connection, but then how our choices would differ. I came in later than you, summer 1965, though still saw the LPs at Bourne Radio, and the difference is the deep soul numbers for you, and for me, far more dancing tracks. That’s because my girlfriend of the late 65/ early 66 era was a fanatic dancer, and we spent four nights a week at least in clubs when Otis was at his most popular. Otis Blue was the critically-acclaimed one, and still is the one with a CD DeLuxe edition (which has bits of two live shows added), and places in all the “Best albums ever …” lists etc. It was also the commercial breakthrough … a number 6 UK album, and it was a number one American R&B album. That means all the tracks were well-known. It’s also held to be an early example, maybe the earliest, of a “coherent soul album” even though it’s mainly covers, three of Sam Cooke songs. The coherence is because it was recorded straight in 24 hours, with a break in the middle for Booker T & The MGs to play an evening gig. You prefer originals to covers, and so do I mainly, but Otis is an exception. He keeps creating those “Sophie’s Choice” questions. You love two versions, but are made to choose one. Just on “Otis Blue” … My Girl? Temptations or Otis? Respect? Otis or Aretha? Satisfaction? Otis or the Rolling Stones? Shake? Otis or Sam Cooke? A Change Is Gonna Come? Otis or Sam Cooke again? Down In The Valley? Otis or Solomon Burke. BUT I don’t much like his later bash at Day Tripper, so no Sophie’s Choice there. I remember the urban myth about Satisfaction being whispered by convinced but gullible people … that the Rolling Stones had bought it intact from Otis, possibly at a crossroads somewhere (long proven false), but Keith Richard had originally intended horns for the riff, and later Stones stage versions add horns so are closer to Otis. The thing is Otis made the song so much his own, and also so different. I bought Tramp new in my most poverty-struck period, so it has a special place. So I’d be looking at Tramp (incredible, as is the Otis & Carla “King & Queen” album), Respect, My Girl, Satisfaction, Shake, Don’t Mess With Cupid, I Can’t Turn You Loose, Fa-Fa-Fa-Fa (Sad Song), Mr Pitiful, You Don’t Miss Your Water as well. And I’d want the rest of your list too, but the ones that come first to my mind are mainly uptempo and rocking, and I typed them in the order they came to mind. I’d prefer your list for an evening at home, but mine for driving. I also bought Don’t Mess With Cupid new. I thought it was the A-side, but apparently it was a B-side to My Lover’s Prayer. You learn something every day! Sophie’s Choice again: Cupid .. Sam or Otis? Well, Otis for me, and in my ten. Bob Dylan, at Robbie Robertson’s urging, handed one of his most famous songs to Otis Redding in the hopes that he would do his own Stax-ified version of it. Things didn’t quite work out that way, however. Cal Taylor – love your beautiful Otis story – Jim D.